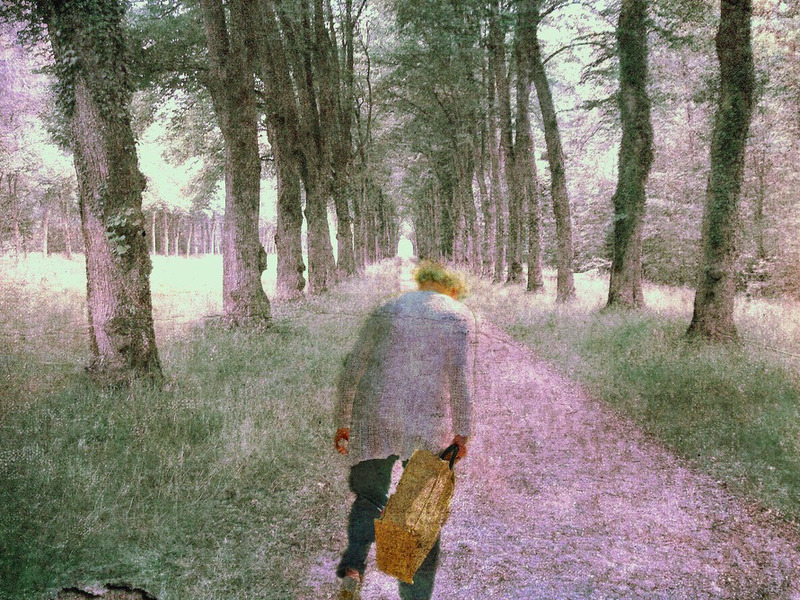 Flickr/SaraThe crossroads is approaching fast. The next few weeks may well be the most important for the global economy since the fall of Lehman Brothers in 2008. And it is not just about the EU referendum. 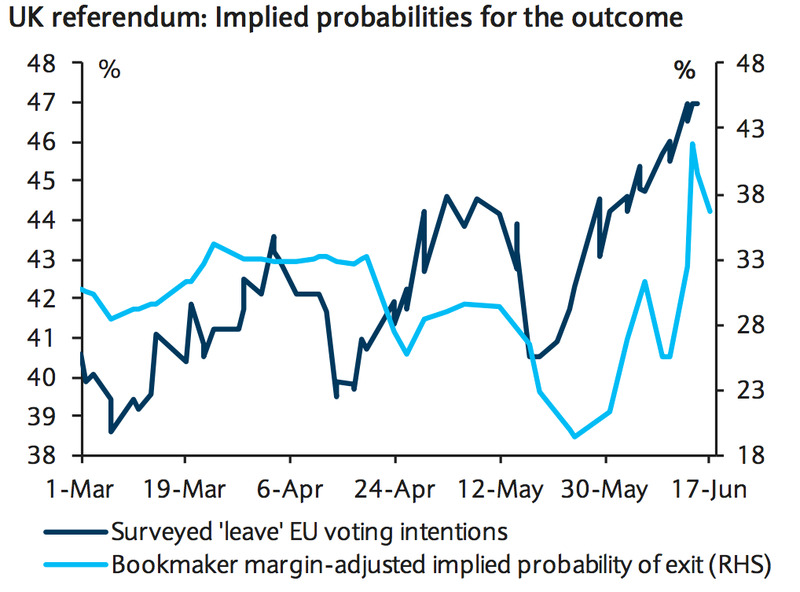 A handful of events, with binary yes/no outcomes, will decide whether growth rises or falls, according to analysts at Barclays. 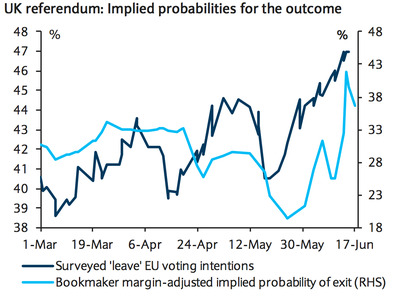 The UK’s EU referendum on June 23 is impossible to predict. While the Leave campaign had taken the lead in polls earlier this month, the Remain campaign has seen a surge in popularity since the shooting of Labour MP Jo Cox on Thursday. There is also confusion in the US over whether the Federal Reserve wants to raise rates or keep them low in the future and concerns that a rebound in China is fading fast into the second half of the year. Nobody can accurately predict which way these events will go and they will have a profound effect on the economy. The global outlook has become increasingly binary: not only could the outcome of next week’s UK referendum significantly affect developments in Europe and beyond, but this week’s FOMC communication made Fed policy also feel increasingly bi-modal in the face of recent uncertainty about the US labour market. In a similar vein, this week’s Chinese data suggest that the stimulus-driven growth rebound may already be starting to fade. 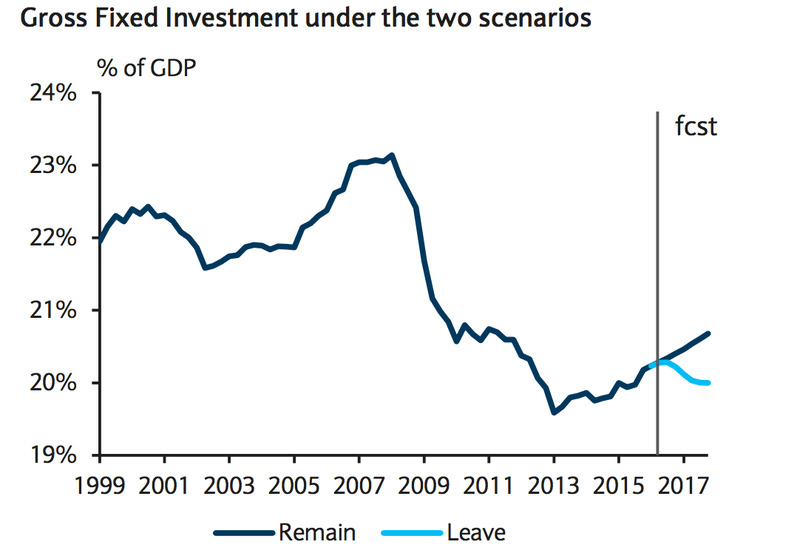 The political risks from the UK referendum could, thus, usher in a global macro scenario much worse than our current baseline. So the global economic future could be as hard to predict as a coin flip. We have raised slightly our baseline macroeconomic scenario as fixed investment is finally picking up: we expect Euro area GDP growth of 1.7% in 2016 and 1.8% in 2017. 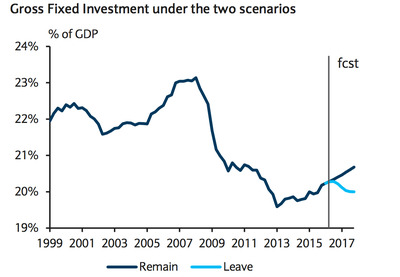 However, under a “Leave” scenario, our growth forecast falls significantly to 1.4% in 2016 and 0.4% in 2017, versus 1.7% and 1.8% in a “Remain” outcome, respectively. Some people, such as Mohamed El-Erian, the former CEO of the Pacific Investment Management Co. (PIMCO) and current chief economic adviser to Allianz, saw this binary economy coming. Back in March he predicted that the global economy would hit a “T-junction” within three years. Policymakers will either watch helplessly as the world sinks into a mire of financial volatility and political collapse, or they will find a way to unlock the piles of corporate cash sitting on the sidelines, reinvigorating growth. “The road we’re on is coming to an end,” El-Erian told reporters in London earlier this year.